Heyyyyyy Fall! Nice to see ya! 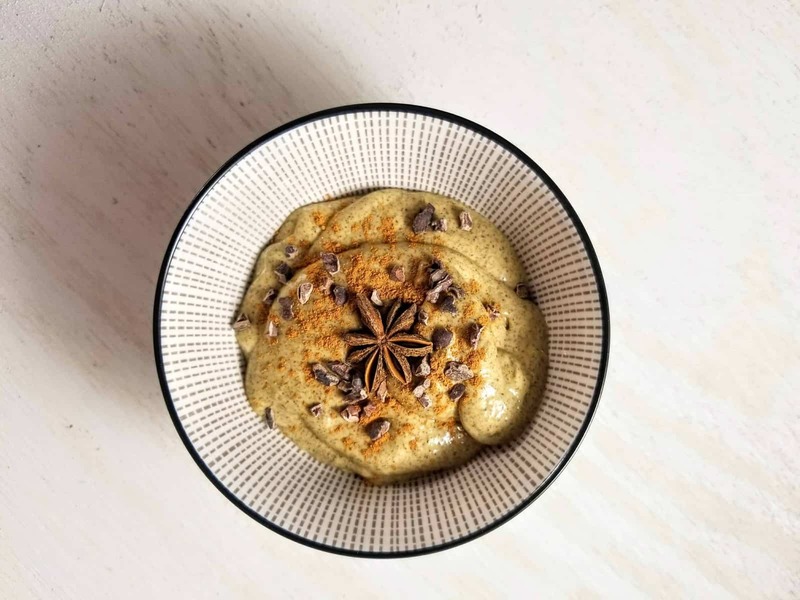 And even nicer to ring ya in with this fancy, healthy Pumpkin Chai Chia Pudding. I mean, what possibly screams “Happy Fall!” better? Especially when the weather hasn’t actually quite caught up with us yet and turning on the oven to pop out a batch of pumpkin muffins (my fav!) is totally unthinkable. Enter a chia pudding variation that combines the best fall flavors without heating up the kitchen even the littlest bit. I love a good, creamy, cool chia pudding. Scrumptious, healthy enough to count as breakfast and super flexible! While chocolate + peanut butter is my go-to flavor combo (like this chia recipe), there’s so much potential in the simple base of chia seeds and liquid! So I bravely stepped away from the safety of this winning combo and attempted a variation more suitable for the coming season. The combination of pumpkin and chai is a total winner. The sweetness of the pumpkin puree begs for a spicy addition to balance it out. Chai spice is a simple combination of cardamom, cinnamon, allspice and ginger. Some people add black pepper, nutmeg, or cloves—which are all incredible, but we’re keeping it simple! Whisk all ingredients together in a bowl. Cover with plastic wrap and refrigerate for at least 4 hours or overnight. Pour into a blender and blend on high for 1 1/2 minutes until totally creamy. Top with your favorite toppings since as star anise (so pretty! ), cinnamon, cacao nibs, coconut cream, coconut flakes, extra chia seeds, nuts or anything your heart desires! Hi, I'm Allie! Welcome to Sip and Spice, my home for all the healthy-ish recipe creations that come out of my kitchen! I'm so happy you're here. My goal for this site is to show how easy and delicious healthy-ish eating can be. I'm super passionate about the local food movement, sustainability and accessibility of wholesome foods for all people. I own, Sip and Spice Creative, a full-time freelance food photography, videography, recipe development and food brand marketing studio in Boston, MA. If you're looking for restaurant photography, brand photography, food styling or help with your blog, please shoot me a message. I'd love to work together! Staying in is the new going out. 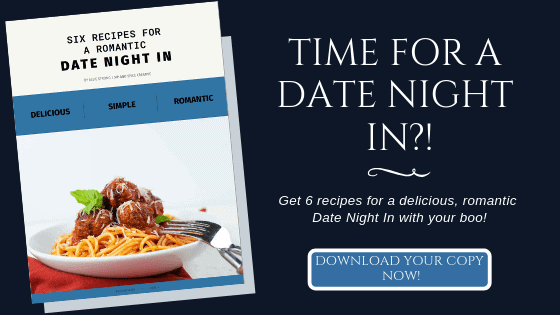 Download my BRAND NEW eBook for 6 delicious, romantic recipes for a Date Night In!